Our Woodland Meadow theme features deep greens and other earth tones. 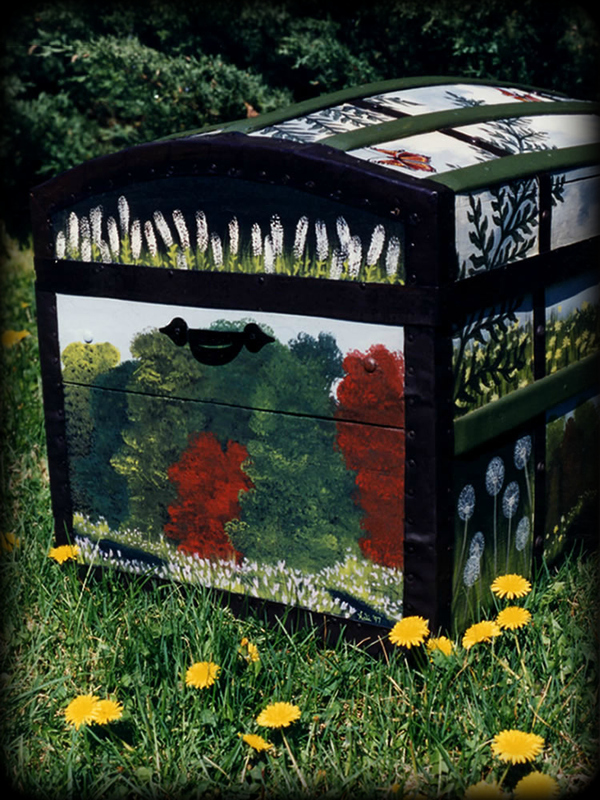 As with all our hand painted furniture, the scenes utilize the natural shape of the furniture. 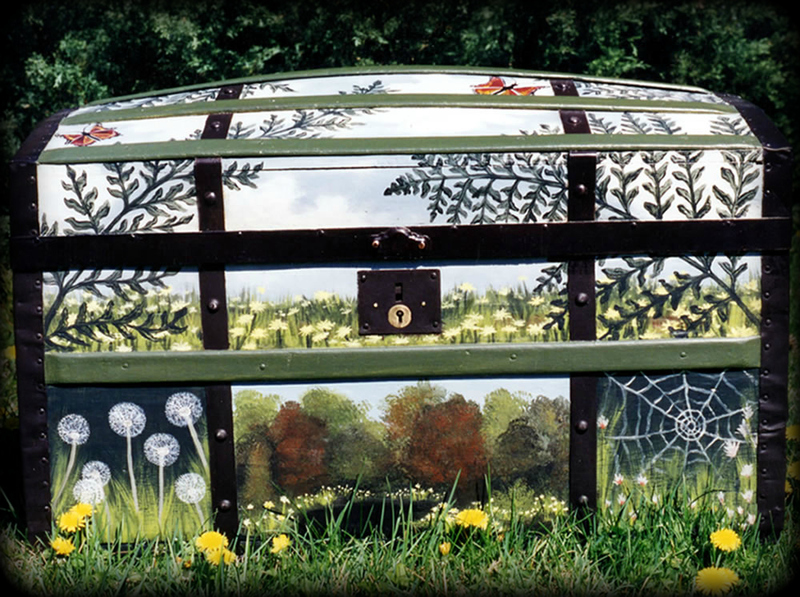 This vintage trunk was beyond restortion, but became a unique work of functional art when painted with our Woodland Meadow theme. Each of our themes possess unlimited possibilities for variety. Each of our creations is a unique work, with no two ever being exactly alike. Our hand painted Woodland Meadow theme is a perfect fit for earth tone color schemes, with a variety of greens, contrasted with earth browns and terra cotta accents. This theme can feature any combination of meadow flora and fauna, and can be customized for each client. 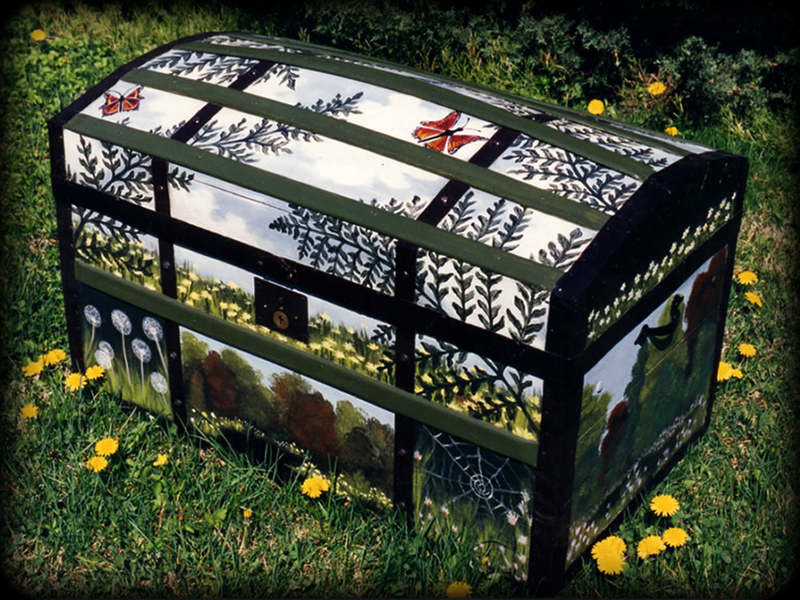 To order a chest in this or any of our other painted furniture themes, simply visit our Contact page. Each of our creations are unique, and are custom painted for each client. 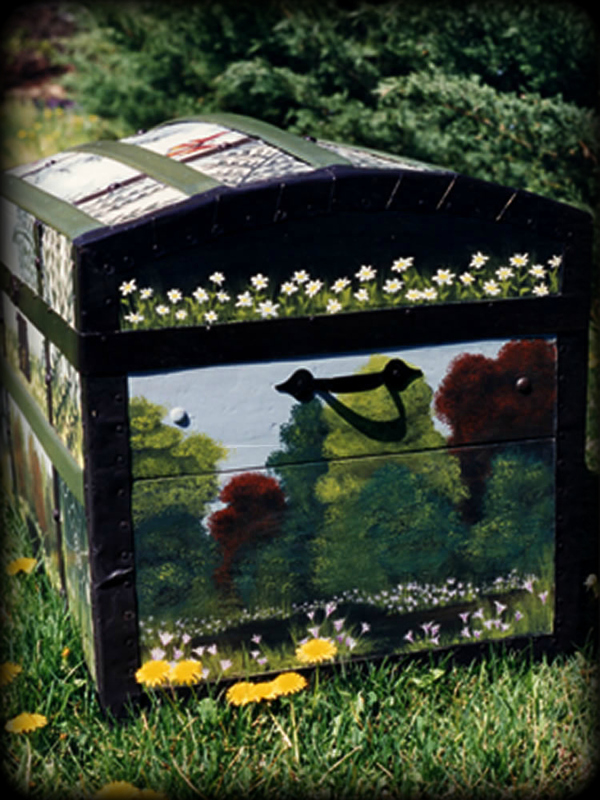 This theme can be painted on vintage or unfinished furniture, as well as custom chests created in our studio.